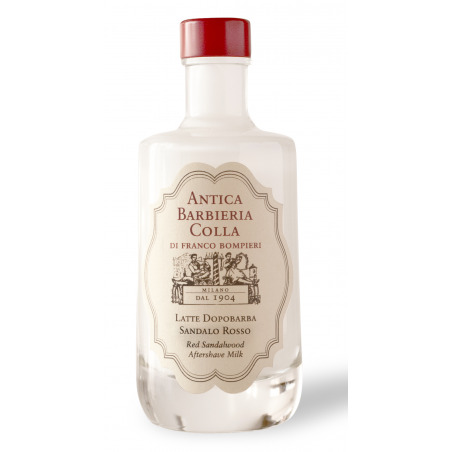 Antica Barbieria Colla Red Sandalwood Aftershave Milk 100ml. A refreshing and soothing aftershave milk enriched with sweet almond oil. It cools, relaxes and invigorates the face after aggressions suffered by skin during shaving. It does not contain alcohol. A non-greasy aftershave milk which is quickly absorbed. This exotic aroma exquisitely captures the essence of Asia. It is a full-bodied, woody fragrance with an understated intensity. It’s used in aromatherapy, as it is helps to harmonise the senses whilst offering a calm and cooling effect on the skin. 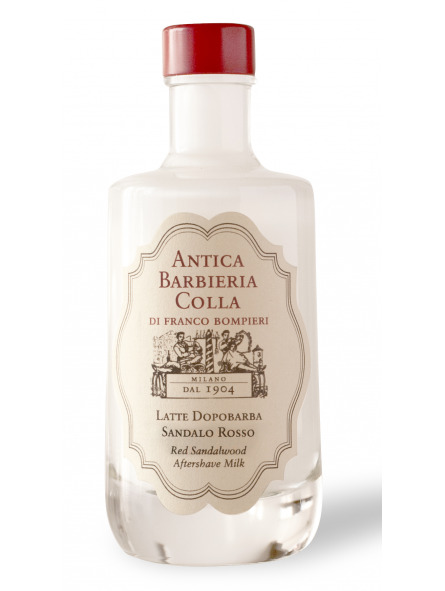 Antica Barbiera Colla is a real institution in Milan which opened back in 1904. It is now characterised by making 100% natural products with unique fragrances and recipes.